Flying the Trip of the Week to Gibraltar. Unfortunately, my Comet IV isn't working right, so I substituted my trust 707--420. Did not know that Gibraltar could handle 707s. I thought England used Trindents for UK to Gibraltar service. Interesting story or fact: because Spain refuses to recognize Gibraltar and refuses to allow any British based airline planes to fly through Spanish air space to get to Gibraltar therefore any British based airline plane would face dangerous approach to the island because the method to avoid Spanish air space involves flying through very windy approach instead of very comfortable and much safer approach. Any airline who is not British based such as Finnair or Air Finland or so on is allowed to use normal and safer approach to Gibraltar International Airport. One day, British airline's Trident strayed into Spanish airspace by mistake and Spain scrambled two Sabre jet fighters to intercept Trident. The Trident pilots got warning via radio from long range British Air Defence radars at Gibraltar that there were two Spanish air force Sabres trying to intercept his plane, the Trident pilots pushed his throttles forward to increase speed to Mach 0.89, and the Trident full of unaware passengers managed to escape and outspeed two Spanish air force Sabre jet fighters!!! 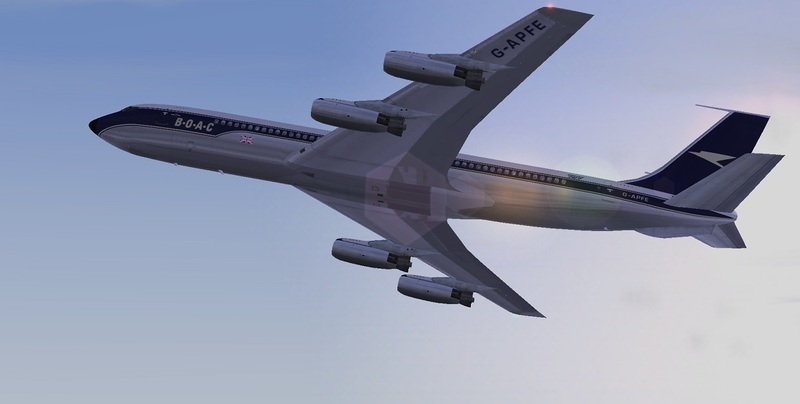 Yes, 6000’ is a bit tight for the 707. Landings not an issue but takeoff is. You gotta be real light. 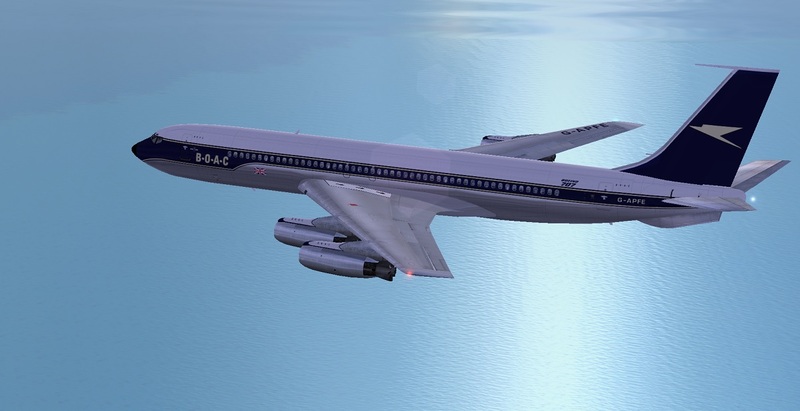 I used the VC10 at mid-weight for the return. It did OK.
Dave Reed wrote: Interesting story. Hunters from 1 and 54 Sqdns were based alternately on Gib with fully armed 30mm Cannon and they always provided escorts to UK civilian Flights to or from Gibraltar. The Spanish air force Sabres used to fly up and down the border trying to intercept any British based airline going to or coming from Gibraltar but when British air force scrambled the Hunters, the Sabres used to whip back into the mainland.